Bamboo is an organic material, and it’s commonly used to make fence posts, flooring, scaffolding and furniture, but bamboo also converts into some excellent bedding. The best bamboo sheets can be remarkably good too. Sheets that are made from bamboo have several benefits to offer, and they’re becoming increasingly popular among consumers. One of the major reasons why consumers are jumping head over heels for these products is because bamboo is a sustainable material. If the thought of using bamboo for bedding has left you bamboozled, don’t worry. We’ll explain what makes these sheets popular products and tell you what to look for when shopping for them. Bamboo bedding is softer than linen and cotton, and since it’s a natural anti-microbial, it will help to keep your sleeping space clean and comfortable. Bamboo can keep you cool in the summer and trap your body heat during winter. If this is your first time shopping for bamboo bedding, you’re about to learn everything you need to know. Currently, you’ll find four major types of bamboo fabric. The first type is called 100 percent bamboo rayon or Viscose. Almost all bamboo sheets are made from this popular fabric because was the first generation of the cellulosic fibers. Several different processes are used to create rayon. Some techniques use more chemicals than others and have an impact on the environment. 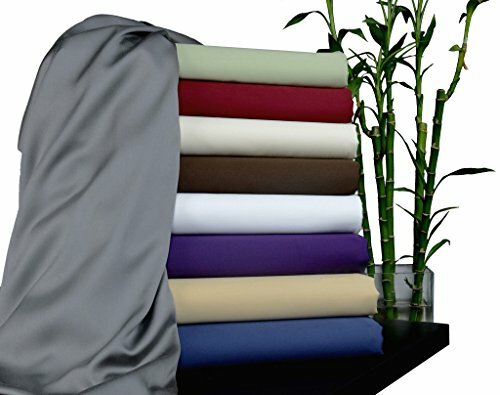 If you decide to purchase bamboo rayon sheets, make sure to choose a manufacturer that has strict protocols, which will minimize the impact on the environment. Fortunately, you don’t have to worry about chemical residue on bamboo rayon sheets, but you’ll want to avoid manufacturers that don’t properly dispose of chemical waste products. It’s also a good idea to stay away from products that are treated with zinc sulphate and bleach. The second popular type of bamboo fabric is called 100 percent bamboo lyocell. This material is hot because it’s one of the most-sustainable textile materials available. During the lyocell process, raw bamboo is converted and dissolved with a non-toxic solvent. This process provides safe effluent, and the waste products that are created during the manufacturing of bamboo lyocell are recycled and kept within a closed system, so there are no harmful chemicals left behind. An additional benefit of this type of fabric is the strength. Bamboo lyocell is stronger and softer than rayon fabric. The third type of fabric is a blend of bamboo and cotton. You’ll find that most products contain a blend of 60 percent bamboo and 40 percent cotton. However, some products might have slightly more bamboo rayon than cotton. Although this material is very strong, it might not be as soft as you’d like. The fourth type of material is bamboo linen, and it’s a well-known sustainable fabric. Unfortunately, bamboo linen isn’t very soft and easily succumbs to wrinkles. Before you make a purchase, you need to consider the weave because it will determine the look and feel of the fabric. The two main weave options are bamboo twill and sateen. Although both of these options are made from 100 percent bamboo, they each have a very different texture. Sateen is two times as soft as twill and costs less, but it must be properly cared for. Twill weave can be identified by a diagonal rib and looks similar to a pair of jeans. It’s quite a bit stronger than sateen but doesn’t offer the same level of softness. Twill is also known to shrink more than sateen. If you’re looking for the most eco-friendly bamboo sheets, then the best products are bamboo lyocell and linen. For superior softness, you’ll want to consider a sateen variety. It’s the closest you’ll get to feeling like you’re sleeping on a fluffy cloud. The strongest sheets are made of bamboo twill, and if you’re on a tight budget, then a cotton blended product could be the best choice. The first product on the list is from Malouf. With a porous composition, these sheets are comfortable, warm and breathable. They’re also healthier than several alternatives materials. You can purchase these sheets in several different sizes, and you also have multiple colors to choose from. The rayon from bamboo sheets are incredibly silky and soft, and since they’re hypoallergenic, they’re ideal for allergy sufferers. The fabric naturally resists odors, so you’ll smell nothing but fresh air when you sleep at night. These sheets are made from smooth fabric and should feel great on sensitive skin. As fully-elasticized fitted sheets, they’re guaranteed to stay secured to your mattress. They feature a deep pocket design, which is like a universal fit. The full-length, ultra-thick elastic delivers a smooth, secure fit on mattress depths up to 22 inches. The sheets are easy to put on and won’t slip off. If you want to sleep on clean, crisp sheets, then these products are worth considering. Choose from rain, driftwood, citron, ash, ivory and white colors. With a soft, sleek finish, these bamboo sheets are designed to keep you cool and dry. 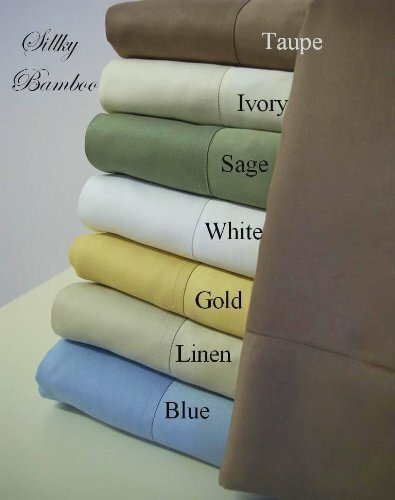 Like several other bamboo sheets, these products are available in different colors and sizes. Some popular colors are white, ivory, sage and titanium. These sheets are made of 100 percent rayon from bamboo and feature 300-thread-count sateen weave. They’re made from imported yarns and single-ply material. The queen set comes with a fitted sheet, flat sheet and two pillow cases. This bedding is softer than many cotton sheets on the market and strong enough to last. It’s also easy to care for and can be washed in cold water. 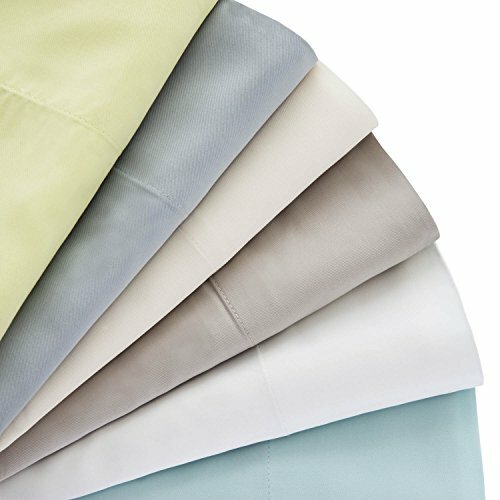 Made with some of the best bamboo fibers money can buy, these sheets have a silky texture and feel very soft. If you’re looking for a level of comfort that you’d get from cashmere, these sheets are worth considering. They have natural anti-fungal, deodorizing and anti-bacterial properties, so you can rest assured that you’ll always enjoy the cleanest sleep. Unlike many other types of sheets, these bamboo products are designed with millions of micro gaps, so they’re much more capable of moisture wicking than cotton. The micro gaps are also important for improving the breathability of the fabric. If you’re looking for some of the softest bamboo sheets on the market, consider this sheet set. It’s available in several different sizes, so you shouldn’t have any trouble finding the correct size for your bed. It’s available in a variety of colors, and some top choices are coral, Royal blue, teal, gold, red and white. 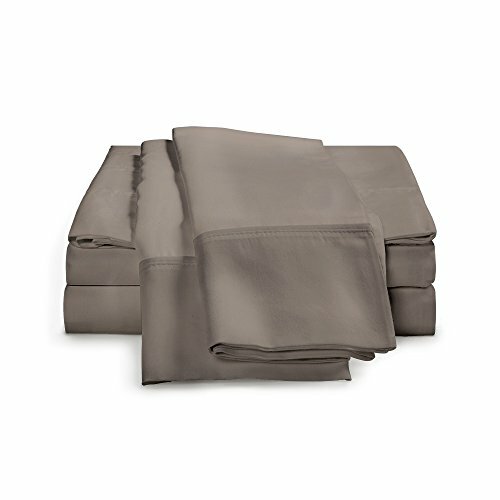 Unlike some of the other products on this list, this sheet set is made of 100 percent Viscose from bamboo. The material is designed to feel luxurious and features a deep pocket style. The fabric feels soft and silky to the touch, and it’s capable of regulating body temperature. 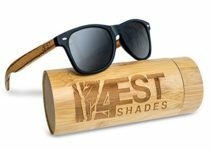 The natural properties of the bamboo material will keep you cool during summer, and when winter arrives, you’ll stay warm and toasty. This bamboo sheet set isn’t too expensive and easy to care for. It has a natural ability to wick away moisture while protecting your mattress. It comes with all of the standard accessories that you’d expect. You get a flat sheet, fitted sheet and two pillow cases. It even has hypoallergenic properties, and the entire set only weighs 4.4 pounds. You can wash this bedding set in a regular washing machine, and the washing instructions don’t require any special steps. Here we have another high-quality bamboo sheet set. It’s made from 100 percent rayon from bamboo and available in several different colors. It has a breathable fabric and feels silky soft to the touch. We think this is a great set for allergy sufferers. The material is smooth and hypoallergenic, so it could be a great choice for sensitive skin. With the ability to wick moisture away, it keeps you dry and protects your mattress. 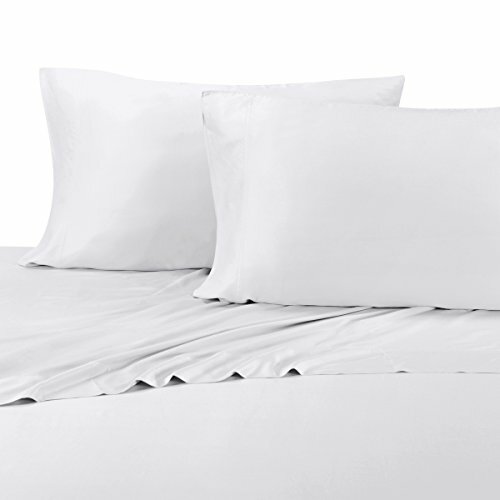 This LINENSPA ultra-soft sheet set can regulate your body temperature, so it’s ideal for any season. You’ll stay cool during summer and never get too cold during winter. It delivers year-round comfort and stays glued to your mattress. The set comes with a fitted sheet and serves as a smooth, comfortable bedding surface. You can easily secure it to mattress depths up to 14 inches. It comes with all of the accessories that you’d expect from a sheet set and features an eco-friendly design. With a 250-thread count twill weave, it’s made from high-quality yarns and has a luxurious feel. A fitted sheet is included in the set, and it offers a smooth sleeping surface and secures to most mattress. The entire perimeter of the sheet has thick elastic attached to it, which provides a secure fit. Since it’s made with rounded fibers, the fabric is gentle enough for people who have sensitive skin or eczema. The next product on this list is from King. The sheets in this set are made of 100 percent rayon from bamboo, and with a thread count of 300, they have a soft, crisp surface. These bamboo sheets are made from some of the softest fabric on the planet, and they’re significantly softer than cotton. If you decide to purchase this set, you’ll find that these sheets remain comfortable in any temperature. They’re especially useful for individuals who’re sensitive to chemicals and suffer from allergies. The King bamboo bed sheets feel soft, satiny and luxurious. They’re made from the type of fabric that will make you want to constantly rub them. A huge benefit of choosing these sheets is the simplified care plan. They’re very easy to wash and can be cleaned in a standard washing machine. However, they should be washed on a delicate cycle and with cold water. For better cleaning and safer washing, make sure to use a mild detergent. The sheets in this set are very easy to care for and offer exceptional wicking properties. They also get softer with every wash. Here we have some more high-quality bed sheets. They’re made with microfiber material, and the yarn is imported. You can choose from four different sizes and 12 colors. These bed sheets feature a deep-pocket design, so they’re easy to secure over thick mattresses. The fitted sheet is fully elasticized, so it can be secured onto mattresses that have a thickness of 18 inches or less. The brushed microfiber material feels silky and soft, and it features an embossed bamboo design. This is a great bed set for allergy sufferers because it has hypoallergenic properties. The fabric is breathable, so you don’t have to worry about getting too hot during summer. These sheets are made from fade and wrinkle-resistant material and can be washed in a standard washing machine. Since the material wicks moisture away, you can enjoy a dry sleeping experience. The fabric features strong stitching, and since it’s made with microfiber material, it’s effective at repelling dust mites and allergens. It has the ability to wick away moisture, so you should never have to worry about stains. 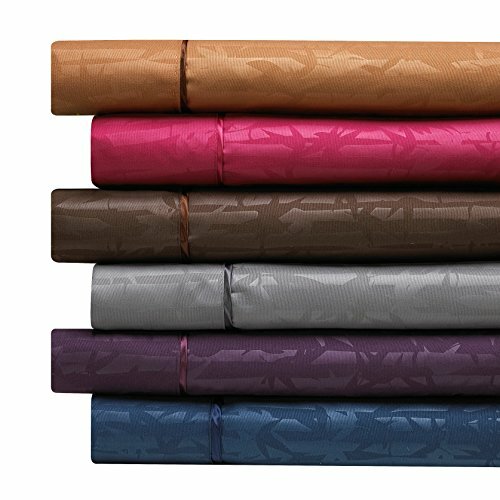 If you’re looking for a top-notch bamboo sheet set, this is another top product to consider. It’s available in several different colors and sizes. Some popular colors are taupe, gray, green, coral and red. This sheet set is made of 100 percent rayon from bamboo, so you get all of the benefits that you’d expect from bamboo material. With a soft, silky feel, these sheets are ideal for consumers who want a luxurious sleeping experience. Bamboo is an excellent material for thermal regulation, so if you want bedding that is ideal throughout the year, this set is worth considering. When washing the set, make sure to use cold water. If you’re looking for sheets that deliver a luxurious feel, this sheet set shouldn’t disappoint you. When compared with cotton material, it’s much more effective at wicking moisture away, so it’s much less likely to become stained. All of the pieces in the set are made from some of the softest fabric on the planet, so you can’t go wrong. Here we have a top product from BedVoyage. If you’re not afraid to spend some money on high-quality products, this could be the best bamboo sheet set for you. It can be purchased in all of the standard sizes, and there are multiple colors to choose from. With colors like cayenne, brown, champagne and mocha, you shouldn’t have any trouble finding a suitable color. 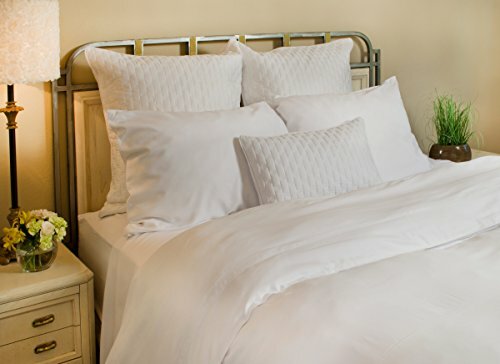 One of the benefits of this sheet set is the high thread count, which delivers a luxurious feeling. The main material is 100 percent bamboo from rayon, so it resists odors, wicks moisture away and regulates body heat. You should enjoy this sheet set during any season, and with hypoallergenic properties, it’s particularly enjoyable for allergy sufferers. The bamboo fabric is very soft and features a contemporary style. This popular sheet set features rayon made from bamboo. It’s an excellent choice for consumers who suffer with skin allergies and has anti-static properties. With strong wicking capabilities, it prevents stains and repels moisture. You should find it especially enjoyable on hot summer nights. You can choose from several colors, and some of the top colors are Smoke blue, grey, taupe, gold, blue and sage. 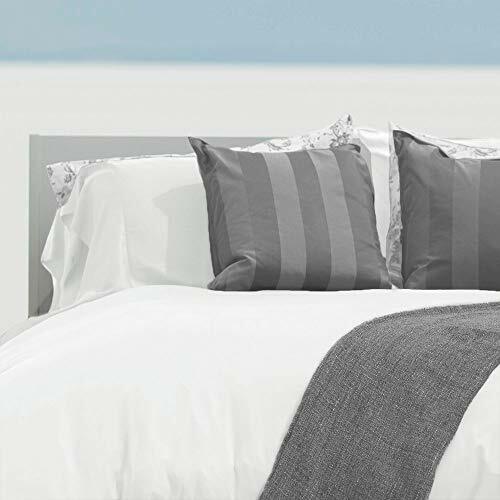 With a thread count of 300, these sheets feel much softer than cashmere, cotton and silk. Although the price is somewhat high, the value is also high. 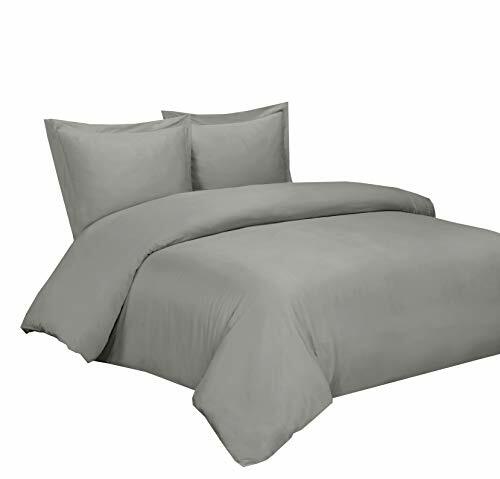 This sheet set is very breathable and soft, so it delivers a great sleeping experience. It’s significantly softer than most cotton sheets, and with anti-static properties, it’s a great choice for consumers who have skin allergies. Here is one of the softest sheet sets you’ll find. Choose from Sandy Shore, Bahama blue, sage, ivory and white colors. The fabric is soft, luxurious and comfortable, so you should have no trouble getting a full night of sleep. The material is breathable, clean and will repel odors. Since it’s made from bamboo, you can sleep better at night because you know you’re helping to save trees. These Viscose from bamboo sheets prevent skin irritation and keep you cool during summer. When compared with cotton sheets, the fabric will keep you up to three degrees cooler. The Cariloha Crazy Soft Classic sheets are twice as soft as cotton, so they’re some of the softest, eco-friendly sheets on the planet. Why Use Bamboo Sheets For Bedding? You’ll be pleased to learn that bamboo sheets have a variety of benefits to offer. Products that are made from 100 percent bamboo are softer than cotton, and when compared with all other bedding materials, they’re some of the softest products that money can buy. Many consumers purchase bamboo sheets because they don’t contain chemicals. Due to its natural properties, bamboo is also a great material for wicking moisture. Bamboo is popular because it repels bacteria, resists odors and regulates temperature. According to various studies, this type of bedding can keep you three degrees cooler during summer. Unlike some alternative materials, bamboo is breathable, made from organic materials and doesn’t require special care. Since it’s hypoallergenic, it’s an especially useful material for individuals who have allergies. If you have sensitive skin and desire a luxurious experience, bamboo sheets won’t let you down. Bamboo fabric can be washed inside of a regular washing machine, but whenever possible, you should wash it using a gentle cycle. You can wash the sheets in hot water, but there is a good chance that they’ll shrink a bit, so you should try to wash them in cold water. When you’re ready to wash your new bamboo bedding, you should never use products that contain bleach, fabric softener or optical brightener because the chemicals will break down the fabric composition. Put simply, these products will significantly decrease the lifespan of bamboo fabrics. To prevent shrinkage, you should dry the sheets on the lowest setting. When shopping for the best bamboo sheets, you’ll notice that there are several brands to choose from, and some brands offer better products than others. Cariloha is a top brand, and although products from this brand are very expensive, most consumers would agree that they’re worth the purchase price. Royal is another top brand, and they sell several popular products. Consumers like products from this brand because they’re great for sensitive skin. A few other top brands are BedVoyage and Brielle. 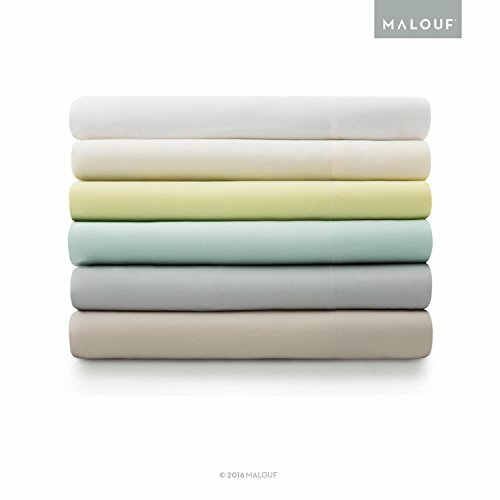 If you’re trying to avoid the odors that have been weaved into some of the products from other brands, consider purchasing some Malouf bamboo sheets. Bamboo is a resilient plant, and it doesn’t take much water to grow. Bamboo requires no fertilizers or pesticides, and the process of thinning out bamboo plants is healthy for the plants. Earth is filled with many renewable resources, but bamboo is one of the most sustainable, renewable and versatile options. Bamboo bedding products are made from thin fibers and deliver excellent breathability. Although it’s viewed as a premium bedding option, Egyptian cotton requires the use of several different pesticides and fertilizers. In other words, the production of cotton releases toxins into the environment. Most consumers don’t realize that cotton can contain harmful toxins, and every day, they spend eight hours sleeping with these toxins. You can imagine the toll that such a choice can take on your health. Whether you realize it or not, bedding has a major impact on your quality of life. With so much at stake, you should understand the health benefits of the bedding you’re interested in buying. Bamboo and Egyptian cotton are two types of high-quality bedding. To find the best fit for your preferences, there are some important facts that you should know. When consumers are looking to purchase high-quality bedding, bamboo and Egyptian cotton are popular choices. If you were to compare these two materials, you’d find that bamboo offers several advantages over Egyptian cotton. Since bamboo is an eco-friendly material, it doesn’t cause nearly as much damage to the environment as cotton. It also offers several health benefits that you can’t get from cotton. What Makes Bamboo Products Special? Bamboo sheets, pillows and mattresses are made from eco-friendly, organic bamboo material, so they aren’t grow with harmful toxins and chemicals. The lack of pesticides and fertilizers is great for the environment, and it’s even better for your health. Unlike most other types of bedding, bamboo is hypoallergenic and doesn’t contain added chemicals. It’s the perfect choice for consumers who suffer from allergies or have sensitive skin. The thin bamboo fibers offer excellent breathability and can be very effective for regulating your body temperature. Superior breathability makes bamboo a top choice for hot summer nights, and with natural wicking properties, bamboo sheets are perfect for people who suffer from night sweats. Once you’ve slept on bamboo bedding, there is a good chance that you’ll never go back to your old bedding. Most people have trouble describing what it feels like to sleep on sheets made from bamboo. Some of the finest viscose yarns provide a smooth, ultra-soft feel, and bamboo fabric that has a thread count of 300 to 400 can feel like the cotton equivalent of a 1,000 thread count. However, thread count doesn’t paint the whole picture, and you have to feel bamboo to experience the benefits. In an attempt to describe bamboo’s ability to regular body temperature, many consumers have referenced goldilocks. If you know the story, you know that goldilocks ate the soup that was just the right temperature. Since it’s such a breathable material, bamboo fabric has the ability to adapt to the temperature of your body. With millions of micro gaps within the fibers, bamboo is great for any climate. Unlike cotton, bamboo helps to regulate your body temperature and prevents overheating. If your bedding is made from cotton, there is a good chance that you don’t even use the top sheet during summer. You might even get uncomfortable while wearing almost nothing. Bamboo fabric can breathe up to 20 times better than cotton, which is great for hot climates. Whether from menopause or other health conditions, many women must endure frustrating hot flashes. Bamboo bedding can be used to fight back against hot flashes. The silky softness of the fibers increases with every wash, which is the opposite of what happens with cotton. Bamboo is naturally a porous material, and since it regulates body temperature, it’s ideal for fighting back against hot flashes. Bedding made from bamboo can absorb up to 60 percent more water than cotton. The importance of a clean, dry sleeping surface cannot be overstated. Bamboo is naturally resistant to mildew, odors and bacteria, and for consumers who have chemical sensitivities, bamboo offers hypoallergenic properties. Who would’ve thought that a random plant could be used to make some of the best bedding in the world? A lot of people don’t realize that bamboo is a type of grass and not a tree. Bamboo is manufactured and used to create comforters, duvet covers, pillows and sheets. Today, everyone is trying to make the switch to eco-friendly alternatives, and when it comes to high-quality, eco-friendly bedding products, bamboo is leading the way. A large percentage of everyday products contain toxic and synthetic chemicals. Furniture, bedding and even baby products have been found to contain harmful chemicals. Bamboo is different because it doesn’t require the use of pesticides and fertilizers. As long as the correct manufacturing process is used, you don’t have to worry about chemicals finding their way into your bamboo products. Right now, your health could be suffering from toxic chemicals, and you might not even know it. In many areas of the world, pollution levels have reached an all-time high, and the air quality continues to drop. Many types of furniture and food contain harmful amounts of chemicals, and with more people becoming aware of these problems, consumers are doing everything they can to avoid exposure to harmful chemicals. If you want to sleep better and know that you’re helping to keep the environment clean, you should consider buying bamboo bedding. When compared with Egyptian cotton, it’s much healthier for the environment, and after considering the wealth of health benefits, the decision to switch to bamboo should be an easy choice to make. The market is filled with many different types of bedding, but there aren’t too many products that offer the wealth of benefits available from bamboo. Some of the softest sheets that you can buy are made of bamboo, and they even have anti-microbial properties. You might be surprised to learn that you can get some high-quality bamboo bedding for a decent price. Bamboo bedding can give you some of the best sleep that you’ve ever had, and you’ll snooze even better because you’re helping to protect the environment.